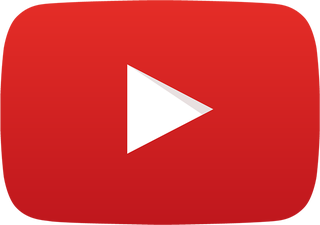 In the past week, two excellent features have been written on the state of YouTube personalities in video games. One by Mike Rose on Gamasutra, the other by Simon Parkin on Eurogamer. They raise a number of important, albeit messy questions about the practice of these folks getting paid by publishers. You really need to go read both of them, but the gist is this: there are some prominent (and some less so) YouTube personalities in the world of video games who are being paid directly by publishers to promote their work, and these payments are either being poorly disclosed or not disclosed at all. Taken literally like that, this is a big problem. Only, as both features point out, while in some cases this may be down to shady dealings, in many cases it's simply a case of the YouTuber being naive enough to not know the legality about disclosing payments and endorsements. And it is a legal issue. If you're being paid by a company to promote their product, whether it's through a formal review or just general coverage, both US and British law requires you to make this clear. Rose's piece in particular has comment from the FTC saying that the standard practice many YouTubers engage in, where they dump their disclosure at the bottom of a video's description, isn't good enough, since such notices "should basically be unavoidable by the viewer". Remember though: neither piece is about all YouTubers. Just some. Both articles will show that at both ends of the spectrum, the beginners and the most prominent, there are those who either are up-front about their deals, or who don't make them at all.